Ha ha .. how true is that! Somedays I actually get this instinct to 'like' what someone says. Facebook has ruined us eh? So very true. 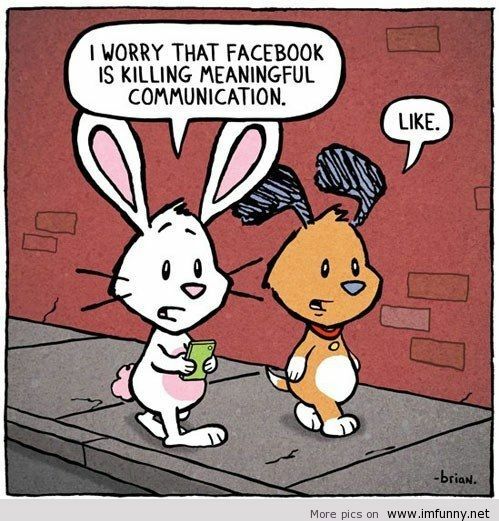 Some people cannot talk without using 'like' 100 times a second it seems.